High temperatures over the past two days pushed above 90°F in a large portion of the region. 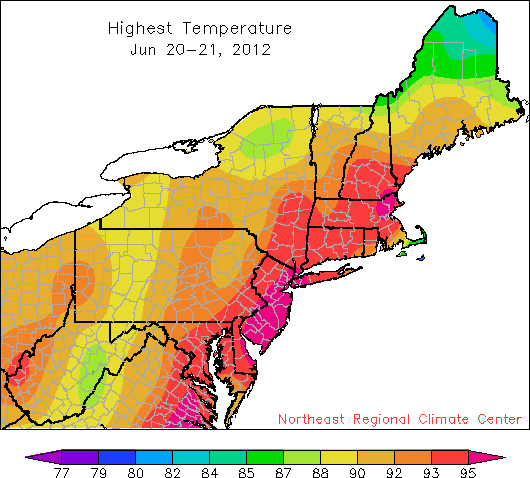 As the summer season started, a mini heat wave hit the Northeast June 20th and 21st. A strong high-pressure system brought hot temperatures into the region and high dew points created a humid environment. The temperatures and humidity together pushed heat indices, how hot it feels, into the 100’s causing the National Weather Service to issue heat advisories. 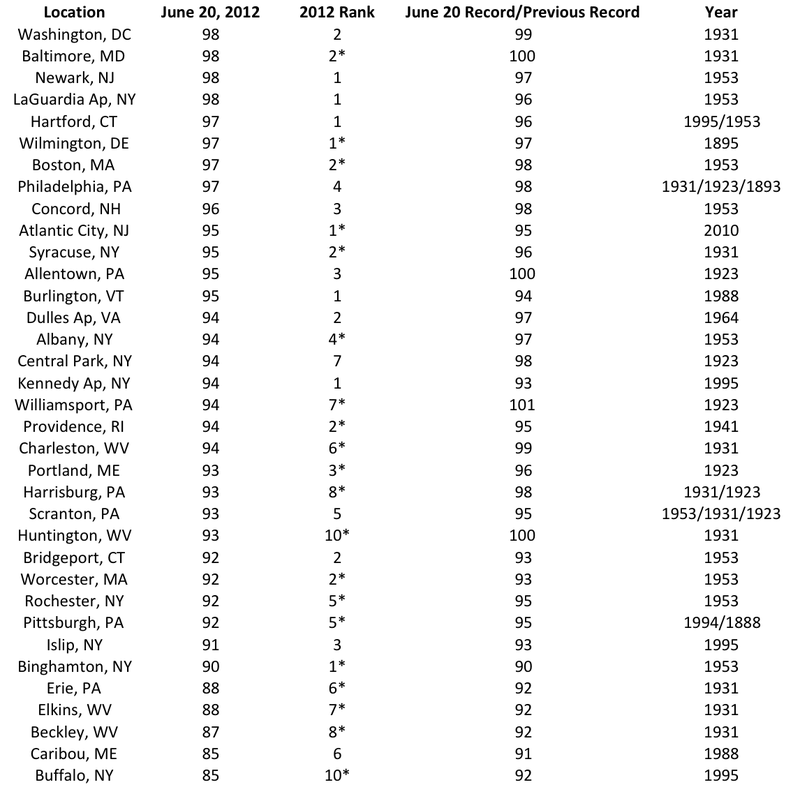 Of our 35 First Order stations, thirty were in the 90’s and eight tied or broke the daily record for June 20th. 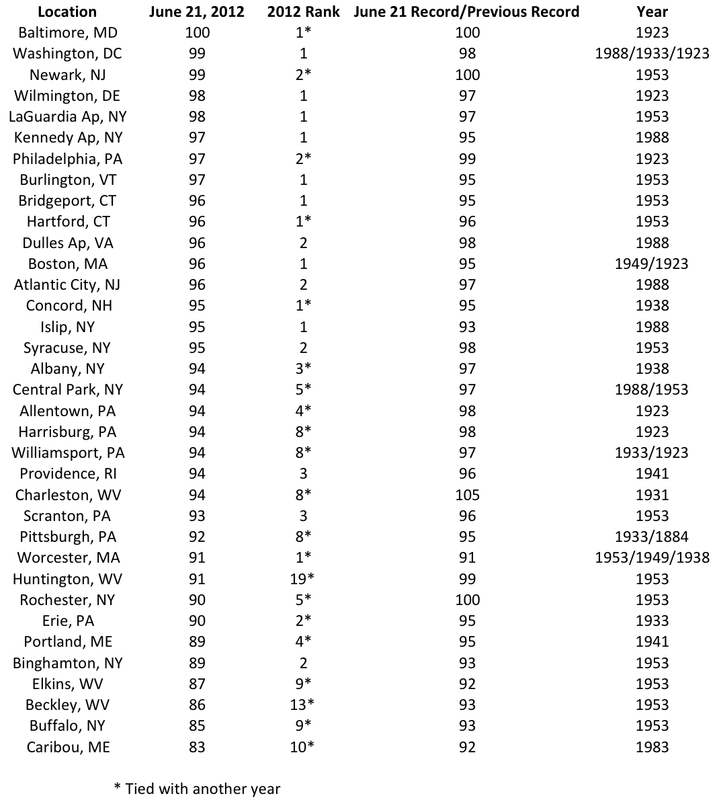 On June 21st, 28 stations were in the 90’s, Baltimore reached 100, and 12 stations tied or broke the daily record.